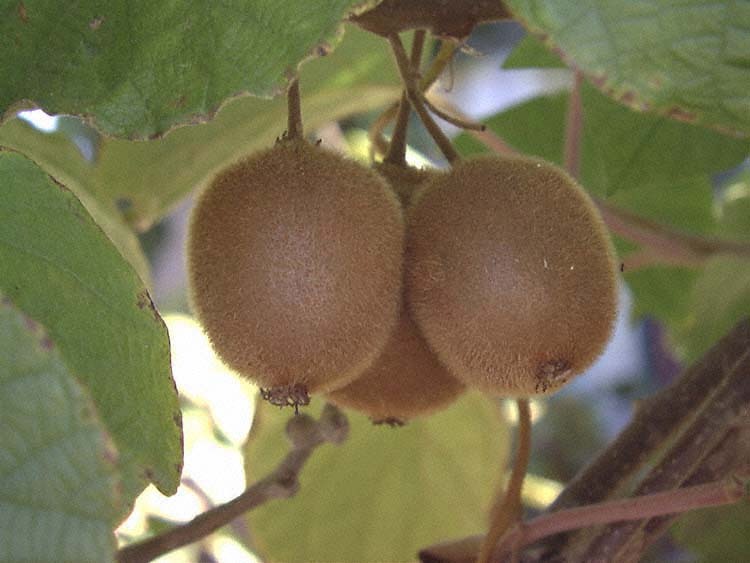 Well known as 'KIWI', this vigorous deciduous climber has stout shoots covered with reddish brown hairs. In early summer the plant bears clusters of creamy white flowers. Female plants produce ovoid bristly-skinned greenish brown edible fruit.